We created the the Azuma Genghis Khan website. The purpose of this project was to make a more intuitive website with a simple layout. 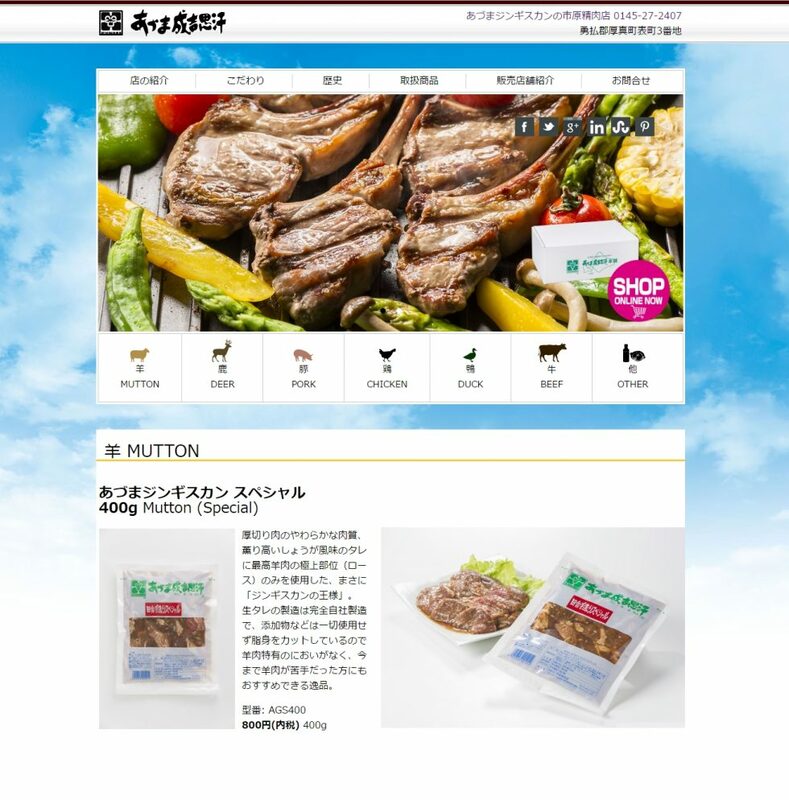 As for the design, a simple color scheme was used from the image of Hokkaido on a blue sky background and products can easily be seen due to the high contrast in colors. Azuma Genghis Khan sells fresh and frozen meat products.